Way back in 1998 sweet husband and I were just getting serious about our food storage. That’s shortly before we had any kids. 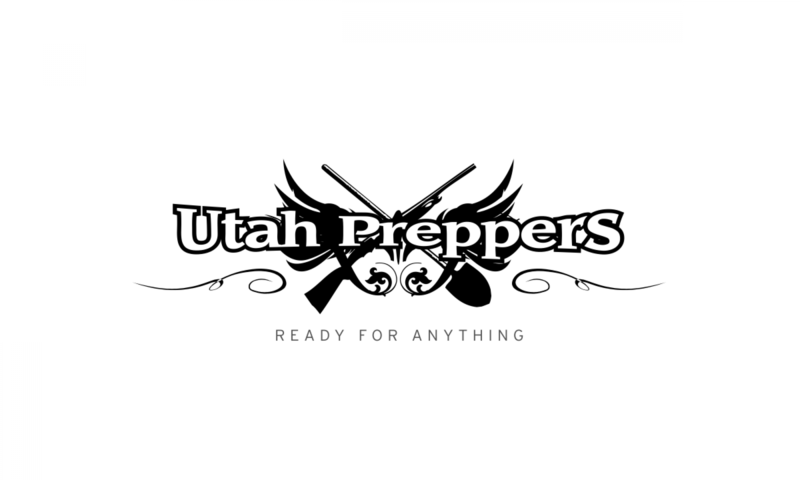 We had the opportunity to do some canning at the LDS dry pack cannery and so we sat down to figure out what to can. Well, we didn’t have a wheat grinder and didn’t really know what to do with wheat, so that was out. I’m not sure why we ruled out oatmeal or sugar or whatever else, but we did decide we both liked white rice so we meticulously counted up how much white rice we’d need if we ate it for every meal for an entire year. True story. And that is what we canned. A whole lot of white rice. Now I know you’re all giggling at the fact that you really can’t live on white rice alone for a year without suffering some serious nutritional issues, but we were young and didn’t think through this very well. So let me tell you what happens when you buy that much white rice. After a while of having it fairly often because it’s easy and we always had it on hand, sweet husband decided he didn’t like white rice anymore. We weren’t even eating it for every meal! He rarely eats white rice anymore. It’s a scientific psychological condition called “appetite fatigue”. He has a mild form because he’ll still eat rice every so often especially if it’s doctored up like in rice pudding. But what can happen in a disaster situation if you have very limited variety in your food is that people can decide they’d rather not eat at all than eat that white rice again. Especially children and the elderly. Children just don’t understand that they need to eat to live and the elderly may just decide it’s not worth it. Most of us in the middle would still eat it because we understand that is all there is, but that brings us to the nutritional issues. Every day we eat a variety of foods. They each add something to our diet. We need a lot of different vitamins and minerals in our diet to be able to keep ourselves in good health and functioning properly. Variety is good. 365 days of white rice for every meal is not. So here are a couple of suggestions for adding variety to your food storage. 1. Don’t buy all one thing to start with. We could have just as easily gotten a variety of goods canned that day including dry carrots, beans, oats, wheat, etc. Then we could have made more with what we had. Once you have a little bit of a bunch of different foods, then you can get all rice if it’s a good price or a bunch of sugar if it’s on sale somewhere and you’re just adding to your stores. 2. Get some spices and flavorings in your storage. Even white rice can taste different than white rice if it’s spiced up a bit. 3. Learn to use what you have stored in a variety of ways. Like wheat can be sprouted, ground into flour and baked with, boiled either cracked or whole to use as cereal, grown into wheat grass, etc. Powdered milk can be used as a drink or made into cheeses, added to soups, etc. Just because you have a bunch of wheat doesn’t mean you have to eat a bunch of wheat bread. Get creative. On a side note, we have not purchased rice to eat since 1998. 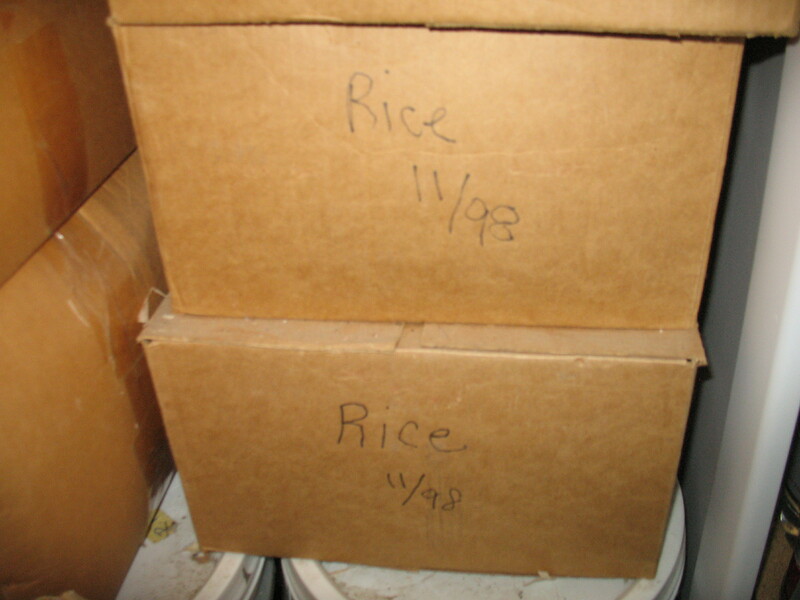 I have purchased some more to replenish the storage, but we are still eating the rice we canned in 1998. We have at least 2 more cases to go. There might be more hiding somewhere. They are a reminder every time I go into the food storage room of where we started and how far we’ve come. Just out of curiosity, how much rice did you start with? I have ground rice into flour and used it to bake with for my friends that are gluten intolerant. This may be a way of using up some of your rice too. It seems like ths person aiding you in storing/canning? should have taken you aside and advised you. Don’t forget you can always donate to a homeless shelter or food kitchen if you find you have more then you can consume before it expires.